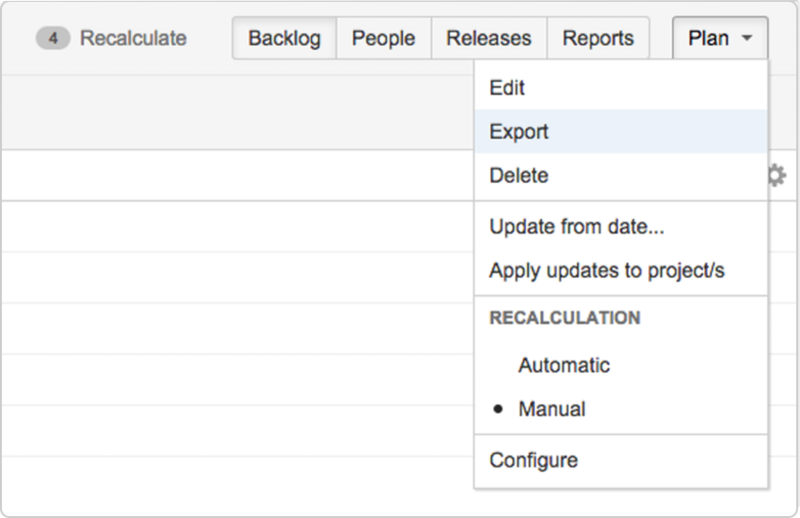 A plan's backlog and releases information can be easily exported to csv for building custom reports or importing into a spreadsheet application or it can also be exported as an xml file for backing up, duplicating, transferring and re-importing plan files directly in Portfolio for JIRA. 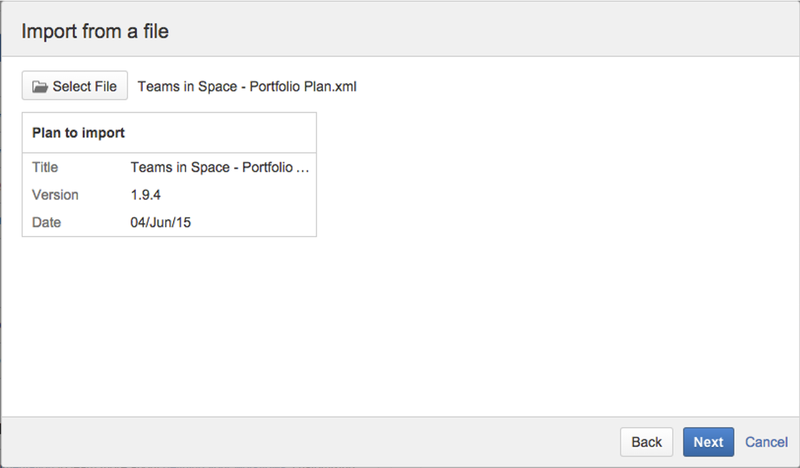 Select Portfolio > Create Plan from the main menu. Choose Select File to locate and import a previously exported Plan XML file. Export your current plan in form of xml. Import the xml file using a different plan title. If you don't specify a title, the title contained in the exported file will be applied. However, you can directly specify a new title for the imported plan as well. Open the plan you want to export. Go to Plan > Export. Issue links will be exported and preserved after the import. 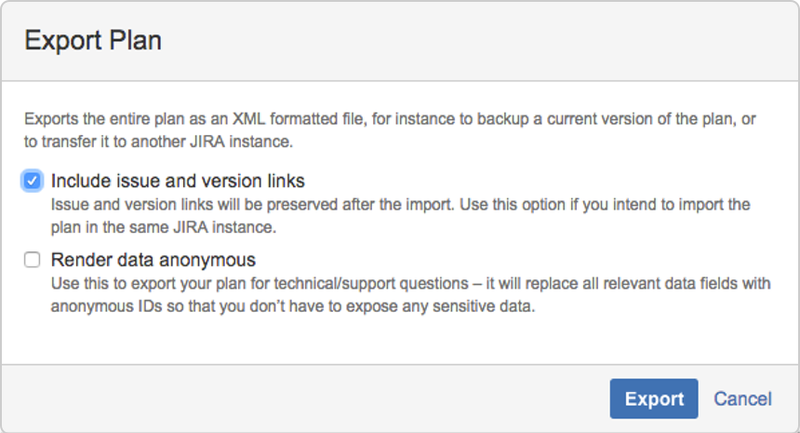 This option makes sense only when re-importing to the same JIRA instance so that the issues with the corresponding issue keys exist in the system, otherwise there will be broken issue links that have to be removed manually. Use this option in case you export your plan for technical issue / support questions - all relevant data fields will be replaced with anonymous IDs you that no sensitive data is contained in the add-on. Once the export has been completed, you will get an xml file with the plan details.